Applying colors and texture has never been easier! 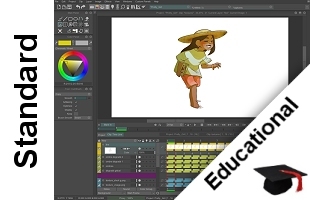 TVPaint Développement has the great pleasure to introduce you to the new features of TVPaint Animation 11 - Professional and Standard Editions. It was time for TVPaint Animation to get a new face. It is done now ! Colors are darker, icons are grey and redesigned : all was made to give a familiar and pleasant look to TVPaint, whatever if you are a long time user or a newcomer. You prefer clear interfaces ? No problem, if "Orage" (means "storm" in French) does not suit you, a light interface with darker icons is available in preferences. 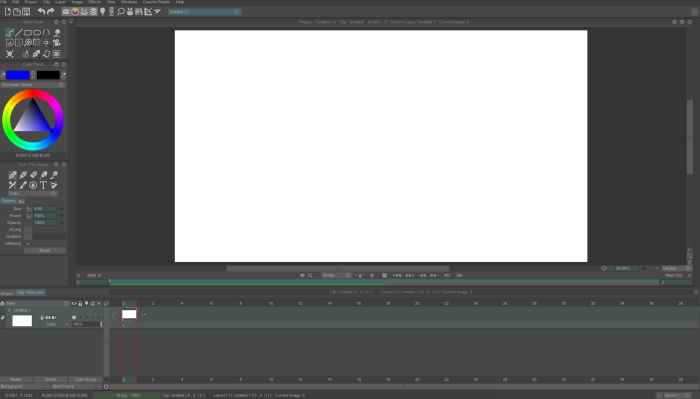 In order to make the use of TVPaint Animation easier than before, the Timeline has been improved too. - "Notes" displays the Timeline for Notes. - "Sound" displays the space to manage soundtracks. - "Color Groups" opens a panel dedicated to Color Groups management. 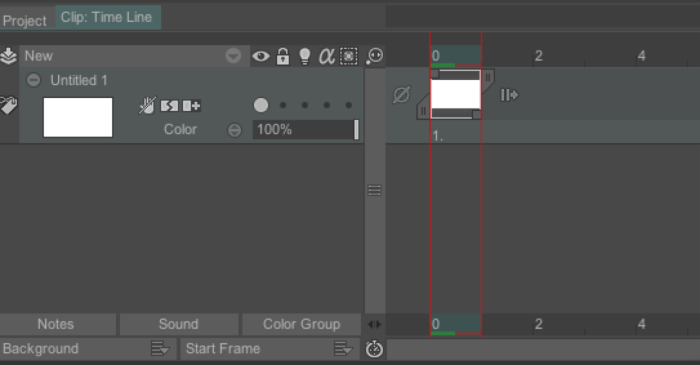 - "Background" allows to change the background display of the drawing space : None, Color or Check. - "Start Frame" allows to choose the start frame between 0, 1 or the value you prefer. To make the interface more clear, the old colored squares visible in the Timeline have been withdrawn to let more space to more useful buttons (read above). 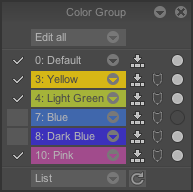 Color Groups and their various options have been moved in their very own panel. Thanks to this panel, you will access more quickly to the various Color Groups' features, such as "Set a Password to protect this Group", "Set this Group (in)visible" or "Hide / Display Groups". A "Refresh" button is even here to display only the current groups used in your project. 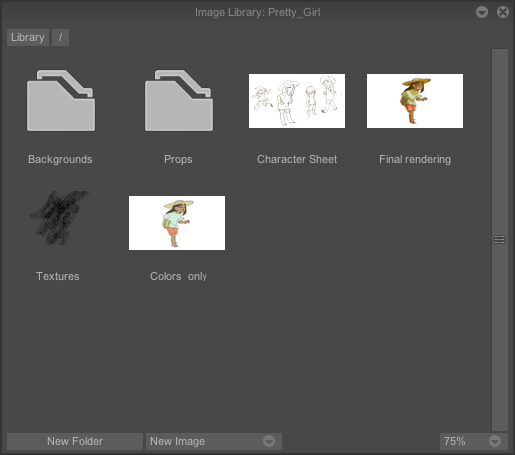 In order to store your textures, your model-sheets and your references, TVPaint Animation 11 integrates an Image Library. Items saved may come from an external file (JPG, TGA, PNG, etc. ), from current image (from current layer) or from current display (all layers merged). The library is embedded in your projects : that way, you are sure you will always use the good references when you opening your TVPaint file. Moreover, if you share your project through the Share Manager (Pro feature only), the library will be sent too. Each preset can be named, saved and imported. Our screens (computers, TV, tablets) become more and more powerful and offer now 2K and even 4K definitions ! 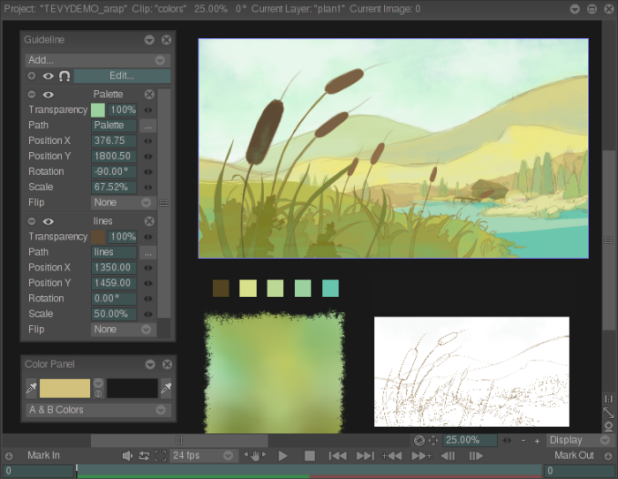 TVPaint Animation had to follow technology improvements and that's why you can now double (and even triple) the interface size of your favorite software. 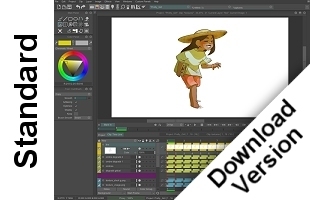 TVPaint Animation 11 includes a new layer type that highly simplifies coloring and texturing process : it is named Color & Texture Generator layer (aka CTG layer). This layer can apply colors and textures, depending on one or several sources of your choice. These flat colors do not let any blank (they fill the whole shape) and are 100% opaque (which is necessary for the compositing process). Using a powerful algorithm,this CTG layer does not care to know if your lines are closed or not. 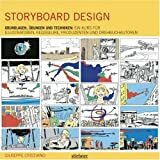 You can even color sketched animations, without worrying about ink and clean. 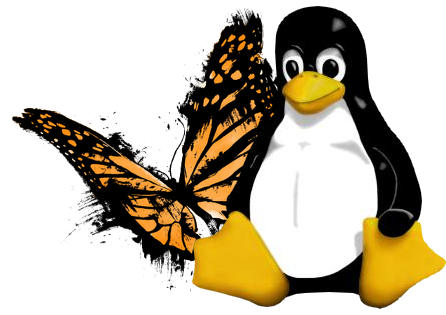 CTG layers allows yourself to generate color libraries. These colors can be added manually, by selecting the colors you want, or simply by using them directly in the drawing space. Each color can be named, so you can identify them quickly. - save it as a file and use it in another project. 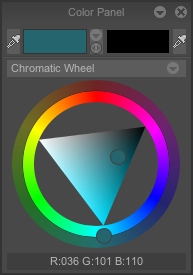 As colors are indexed, you even have the possibility to modify a color nuance and apply this change on your whole sequence, just in a few click. Once your sequence has colors, you can track one or several color area (choose the ones you want) and apply textures (that you saved before in the Image Library). � "Inlay texture" uses an image source (paper, custom brush), and makes it mold the whole shape to give it an embossed design or a painting looking (results depends on the brush and the shape). Line Smoothing, added for the first time in TVPaint Animation 9.5, has been revisited in this version 11. Formerly available in "Shape Settings", the Line Smoothing gets now its own panel and its own icon in the Main Panel. 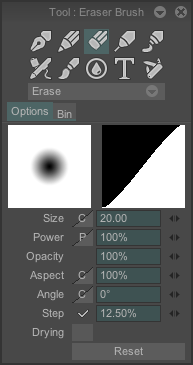 Even if it still possible to turn any brush into an eraser with TVPaint, many users requested a default eraser, easily reachable. It's done now ! 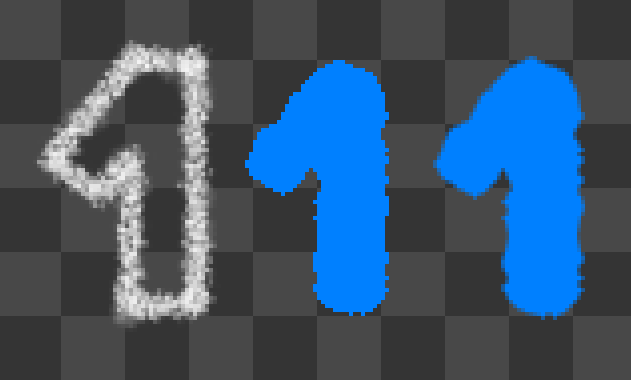 "Special Brush" and "Warp Brush" have been merged to let the place to the Eraser. 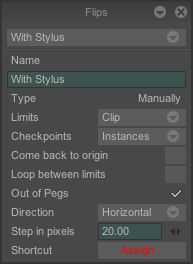 Asked many times for several months, an Anti-aliasing option is now available for all filling tools. 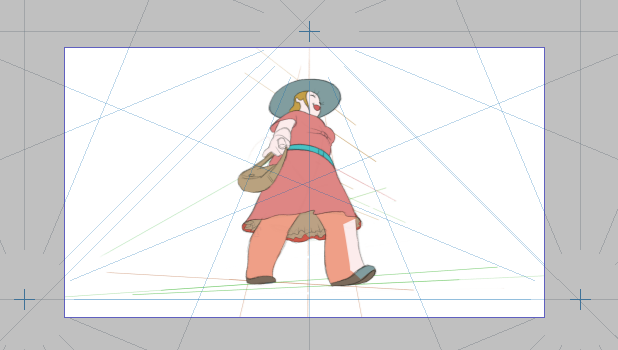 There are as many ways to "flip" an animation as there are animators. 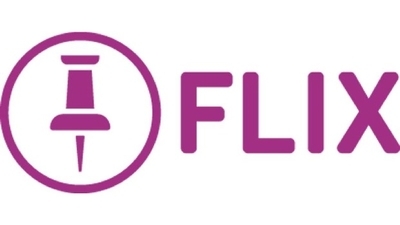 And, obviously, we want to satisfy everyone : that's why a Flip panel has been created. Until now, these 2 features, respectively added in TVPaint Animation 9 and 10, were a global parameter in your TVPaint configuration. 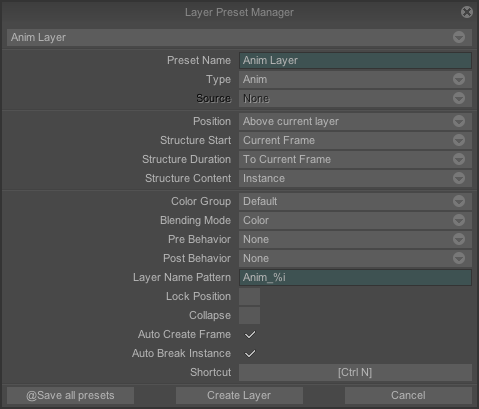 Of course, these parameters can be configured through the Layer Preset Manager. Proxy is about 25% faster than before. 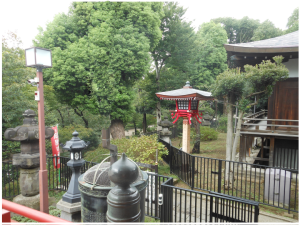 This gain allows the software to calculate images and export them more quickly. � A new "Tint" mode is available and turns to be really handy with filled shapes. � Out-of-Pegs value can be changed with values (so you don't need to touch the HUD). 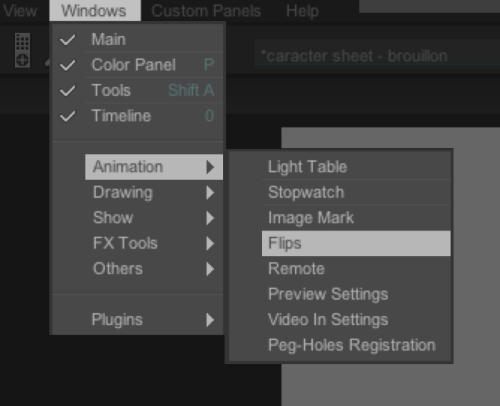 This unknown feature added in TVPaint Animation 10 is now more visible thanks to pop-up that displays when you move selected images. Auto Save is now possible ! It's finally done ! 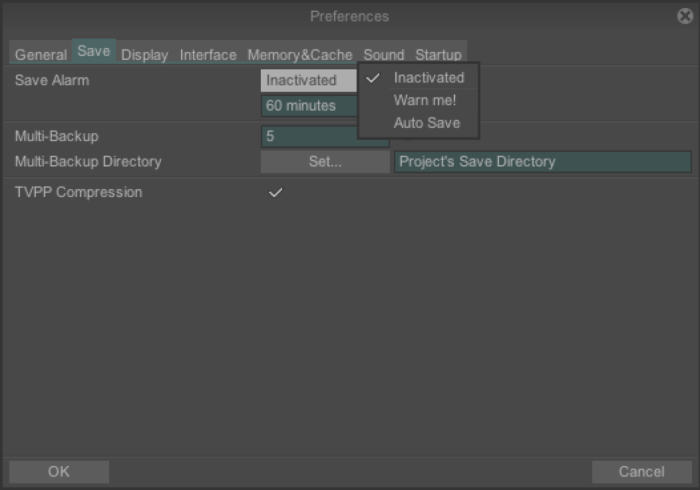 Thanks to TVPaint Animation 11, save automatically the files you are using. Combine this feature to the Auto Backup and you ensure yourself to never ever lose your work in case of crash system or power cut. Save options are now so numerous, they have now their own tab in the Preferences panel. 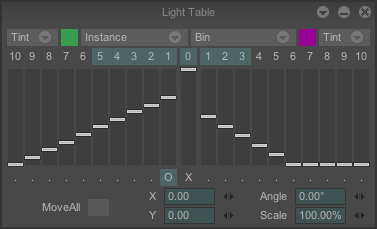 Thanks to the "Clap" option in the Export panel, you can display information about your sequence when exporting it as a file. 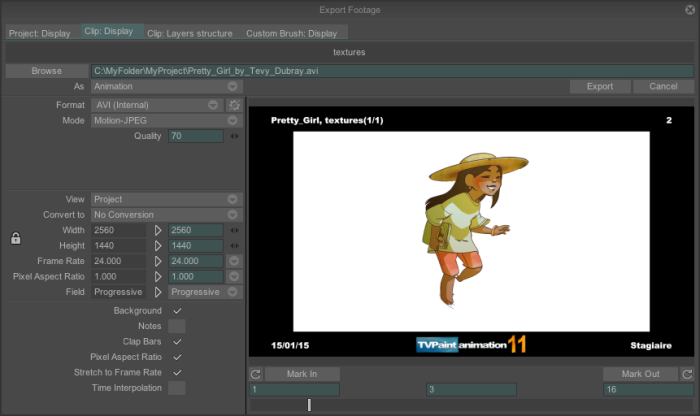 TVPaint Animation 11 exports .XLM formats to be compatible with Flix solutions (The Foundry©). Because it is possible to name clips, layers and even instances and sometimes, it's very handy to find something peculiar, a Search Engine has been added.